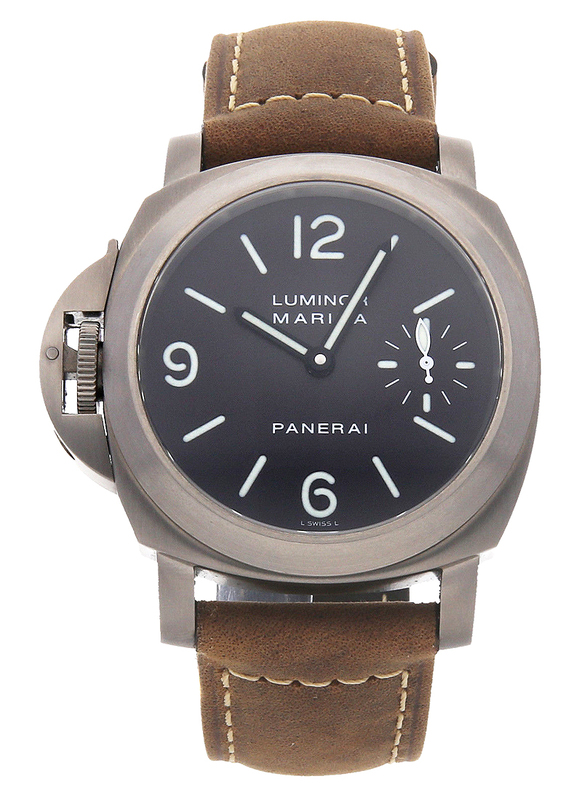 This watch is also known as: PAM , PAM115 , PAM00115 . 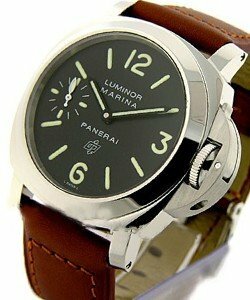 The Panerai PAM 001115 has its crown on the left, unlike all the other watches that have the crown on the right. The crown is a winding crown and is protected by a small device. 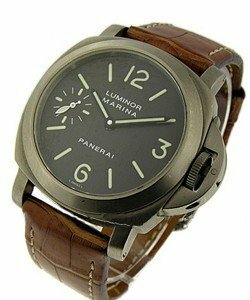 This watch features a black dial, polished stainless steel case and a brown strap. There is a small subdial at 3 o'clock position to indicate the seconds. 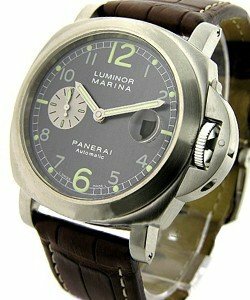 The case measures 44mm and the movement is mechanical.